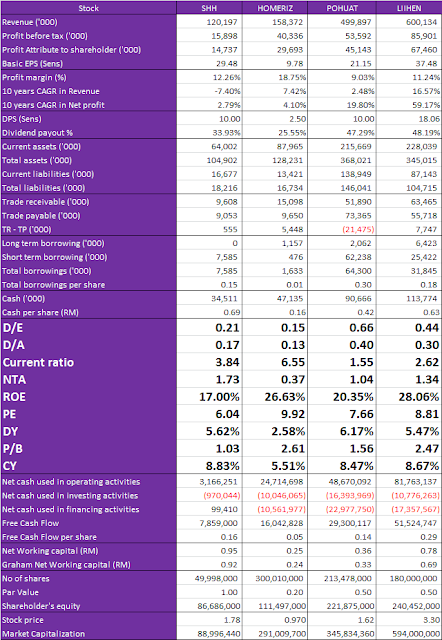 Why the free cash flow for SHH & Liihen were more than the Net cash from operation? Shh's due to high depreciation with 2.3m and this was added to FCF. Liihen's due to high impairment loss on intangible asset.